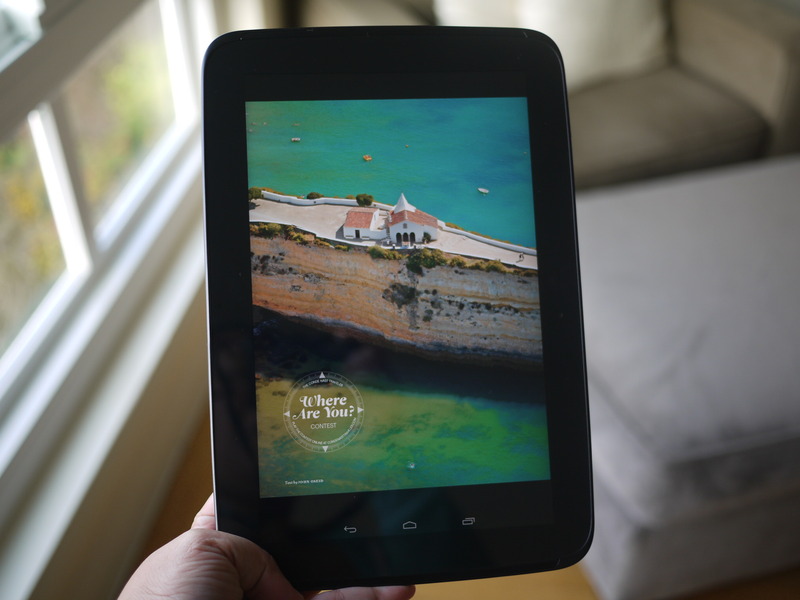 Google turned heads this summer when it released its Nexus 7 tablet. 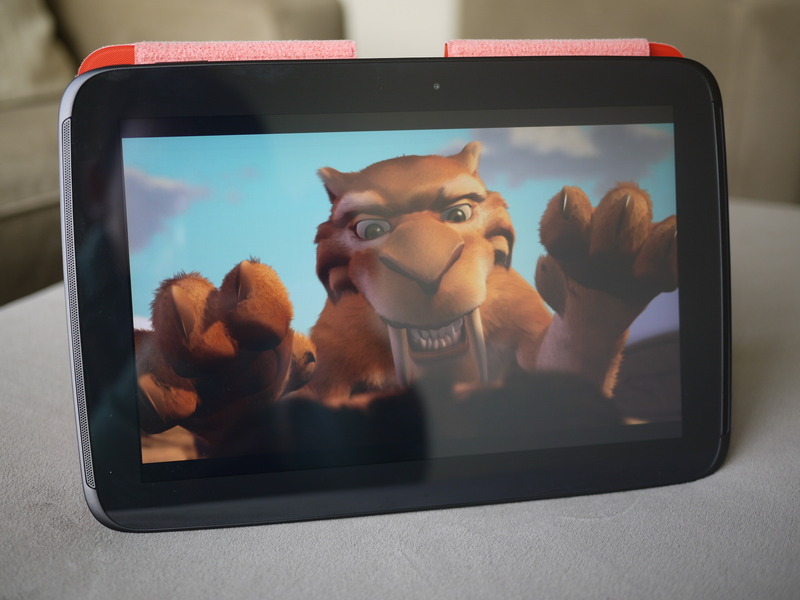 Together with Asus, the company produced a solid Android tablet that offered an affordable price tag, nice design and smooth performance to rival the Amazon Kindle Fire HD. But can the company do it again with a 10-inch version to take on the reigning leader, the Apple iPad? The answer is mostly yes. Working this time with Samsung, the Nexus 10 is a good alternative to the iPad. I’ve been using it for the past week, and I love the gorgeous display and design. 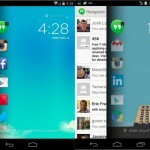 The latest Android software also brings some nice extras, such as enhanced voice search and support for multiple users. Plus, it’s $100 less than the latest iPad, at $399 for the 16 gigabyte Wi-Fi model and $499 for the 32GB Wi-Fi version. It’s not without faults, though. Battery life could be better. But the major issue that prevents it from overtaking the iPad is app selection. 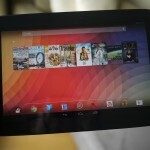 For now, Android doesn’t offer as many apps designed specifically for tablet use, compared to iTunes. 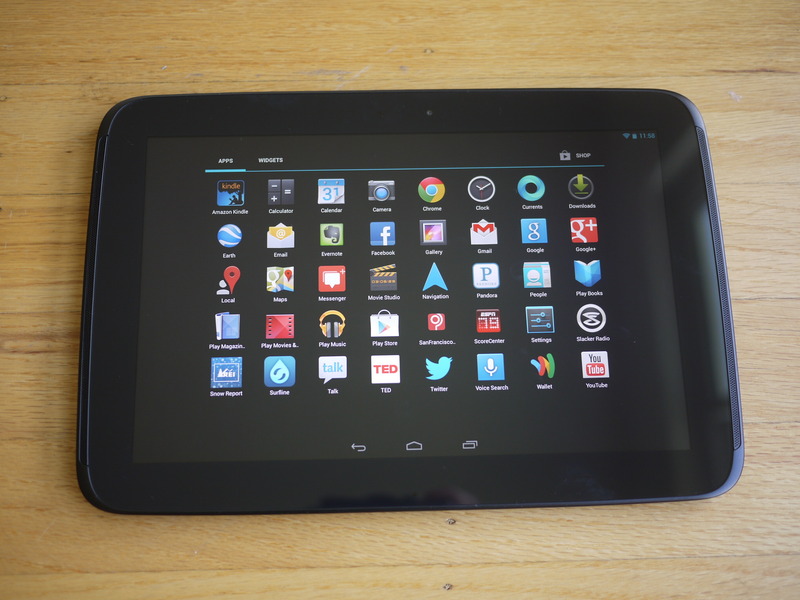 Still, for those who prefer the Android operating system and want the larger screen, or are on a budget, the Nexus 10 is a great pick. 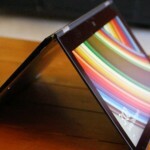 Right away, my eyes were drawn to the Nexus 10’s beautiful display. 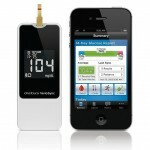 The touchscreen measures 10 inches diagonally and has a resolution of 2,560 x 1,600 pixels. On paper, it actually bests the iPad’s Retina display, which shows 2,048 x 1,536 pixels. But in real life, I had a hard time seeing a difference between the two. Images and text were incredibly sharp and clear on the tablet’s display. I watched a couple of movies during a cross-country flight, and enjoyed the viewing experience. I also downloaded a couple of issues of Conde Nast Traveler from the Google Play store, and read the articles without problems, drooling over photos of exotic locales. Reading e-books was less pleasant, due to the tablet’s larger size. At 10 inches wide and 1.33 pounds, I got tired of holding it after a while, especially in portrait mode. For reading on the bus or in bed, I much prefer something smaller, like the Kindle or even the Nexus 7. 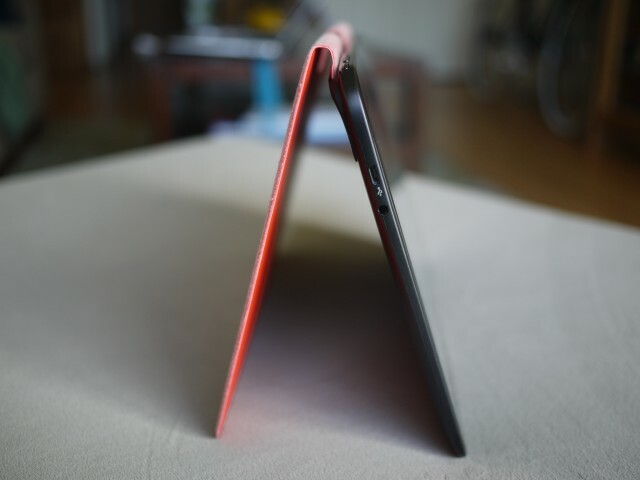 The Nexus 10 is well-built. 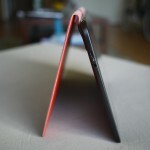 The back has a rubberized texture, so it’s easy to grip. It’s also sturdy, and doesn’t feel cheap. The display even has an extra layer of protection to help prevent scratches. Now each person can choose a profile image from a selection of icons along the bottom of the lock screen to launch a personalized tablet experience, complete with just his or her own apps and a customized home screen and background. Set-up is quite easy, but I noticed a slight delay when switching users. But when I asked the same question on the Nexus 10, it replied, “Rain is not expected today,” and gave me a full weather report. I also used it to launch applications and send simple emails, and it worked fine. But when I tried to create a calendar appointment, it kept getting the wrong time. The tablet offers a main five-megapixel camera on back, and a front-facing 1.9-megapixel camera for video calls. The camera app has a new option called Photo Sphere, which enables you to take a 360-degree panoramic photo in every direction, not just side to side. I took a couple of photos, and the software guided me through the picture-taking process. The effect is cool when it works. The results were best when taking sweeping landscape photos, but with portraits or close-ups, some objects looked warped, and the stitching was jagged in places. Also, I’m not a big fan of taking pictures with a tablet, so I’m not sure how often I’d use this feature. 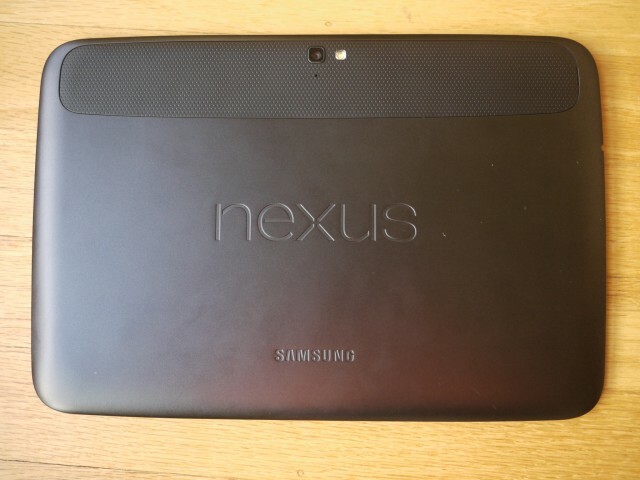 Overall, I was happy with the Nexus 10’s performance. 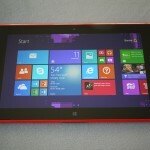 It handled most tasks well, including gaming and video streaming. 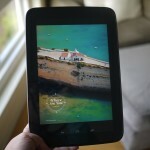 Google and Samsung estimate battery life at up to nine hours of video playback, and up to seven hours of Web browsing. In my battery test, I played back-to-back video and set the screen brightness to 75 percent with Wi-Fi on to retrieve email in the background. The Nexus 10 lasted six hours before displaying a low-battery alert. By comparison, the third-generation iPad offered nine hours and 58 minutes of battery life in the same tests. With more normal use, where I checked email and social networks, browsed the Web and viewed a few YouTube clips, the Nexus 10 lasted a little more than 24 hours before needing a recharge. 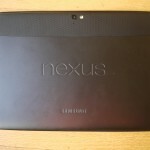 But the biggest problem with the Nexus 10 doesn’t have anything to do with the device itself. 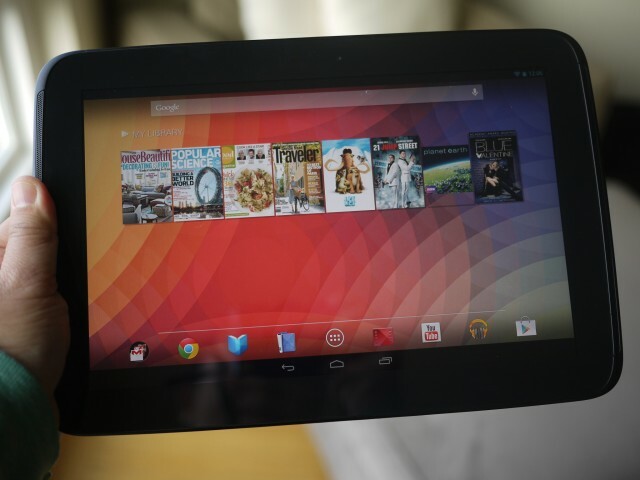 It’s an issue that plagues all Android tablets, and that’s the selection of apps. The Google Play Store offers more than 700,000 Android apps but the company doesn’t specify how many are designed for tablets. Meanwhile, Apple offers more than 275,000 apps for the iPad. While testing a selection of apps, I discovered numerous titles designed for a smartphone’s smaller display; when viewed on the Nexus 10, the look and user experience is poor. 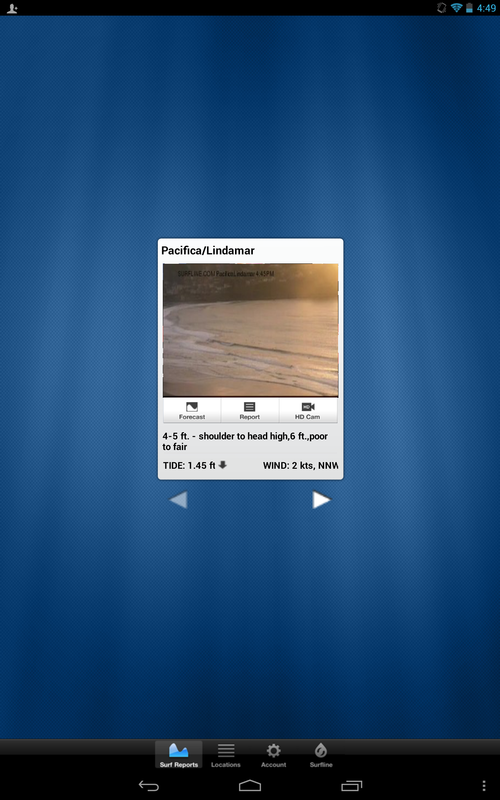 For example, I downloaded the Surfline app so I could check the reports and forecasts for my local surf spots. 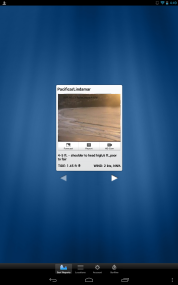 When I opened the app, most of the navigation tools and menus were not formatted for the larger screen. Also, when I launched one of the live Webcam feeds to streaming video of the beach, the viewing window was so small that I had hard time making out any details. That said, this may not be a huge issue for some, since many of the most popular apps, such as Facebook and ESPN, work just fine on the tablet. If you’re not tied to Apple’s ecosystem, the Nexus 10 provides a great tablet experience, and one that I would certainly recommend.